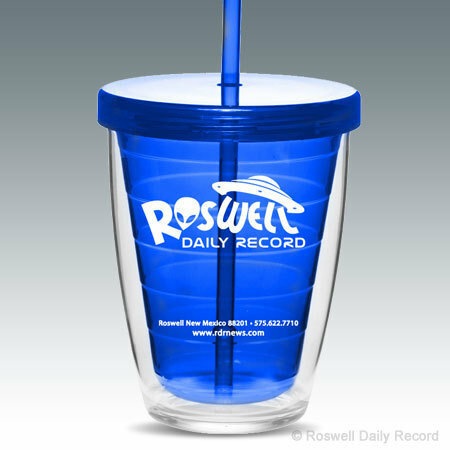 Roswell Daily Record Double tumblers! These acrylic tumblers feature double wall construction for insulation of hot and cold liquids, which helps reduce condensation and eliminate the need for coasters. Features a clear exterior wall is contrasted by a colored interior wall with matching lid and straw. Great conversation starter! Makes a great gift for the Alien enthusiast or memorabilia collector. Hand wash only, BPA Free and fit for up to 12 oz. of your favorite drinks.